You might ask why I have chosen to pick out just one of her astonishing haul of four gold medals but the first one for the host nation is always a bit special isn’t it! Super Sarah led the charge and broke records a plenty on course to cementing her place as one of GB’s greatest ever Paralympic athletes, if not the greatest. Ellie Simmonds’ astonishing first gold medal victory of the Games wasn’t in her strongest event and wasn’t necessarily one she was expected to dominate but that she did. This triumph was akin to Jess Ennis’ win in the heptathlon in the Olympic Games as it relieved an enormous weight of pressure and expectation as Ellie Swim-monds went in as ‘The Face of the Games. She then went onto follow this success up with another gold and a silver and bronze to boot. Not a bad few days. I know every event was amazing in it’s own way but this was just ridiculous. 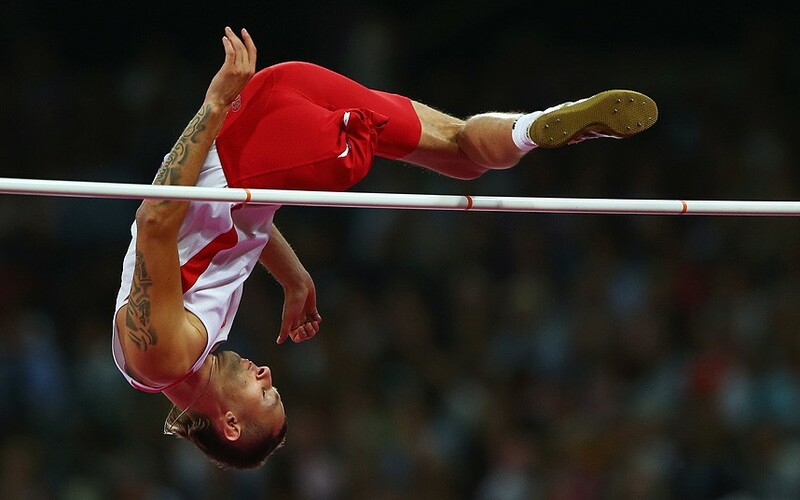 The athletes competing were truly gobsmacking, how on earth a one-legged man can leap as high as these guys were is simply beyond me. I loved watching it though! Mickey Bushell’s moment of glory was one of the more memorable of the Games from a Paralympics GB perspective. He was already a silver medalist in the World Championships and last time out at the Paralympics in Beijing and now he has finally become a gold medallist at the Games. The emotion displayed by him as he crossed the finish line was a pleasure to behold. Our very own female and wheelchair riding Usain Bolt. She didn’t just win two sprint golds, she won them by a country-mile. She was supreme. Smyth suffers from a 10% loss of sight and though that might not sound like the greatest impairment of the many we have seen at the Games, he was still competing in a field of similarly disabled athletes and he blew them all away. I haven’t checked to see whether he is or not but I suspect that he might not only be the fastest ever Paralympian but that he also might well be the quickest Irish sprinter ever, able bodied or disabled. If he isn’t the fastest ever Irishman then he must be bloody close! Four events, four gold medals. What a hero! Not only did he win four golds but they were in entirely different disciplines; the 800m, the 1500m, the 5,000m and the marathon. The mind boggles! This guy is unreal. He may not have won a medal or even have got that close to winning one, but this veteran of the Spanish track cycling team truly amazed me. In spite of the Velodrome’s steep angled banking he manages to hurtle round the track in spite of missing an arm and leg both on the same side of the body. I quite simply don’t know how he stays on or how he moves the bike! 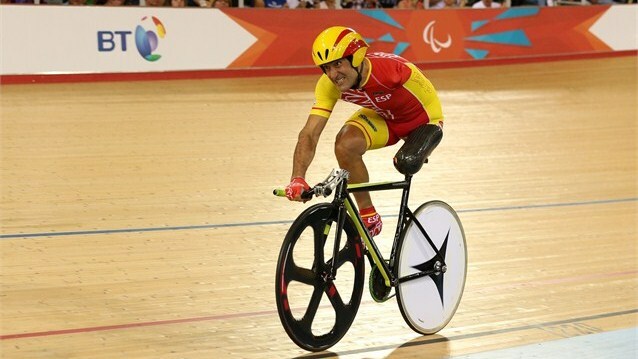 45 year old former F1 driver Alex Zannardi brought an incredible story to a glorious conclusion at the Paralympic Games this week. 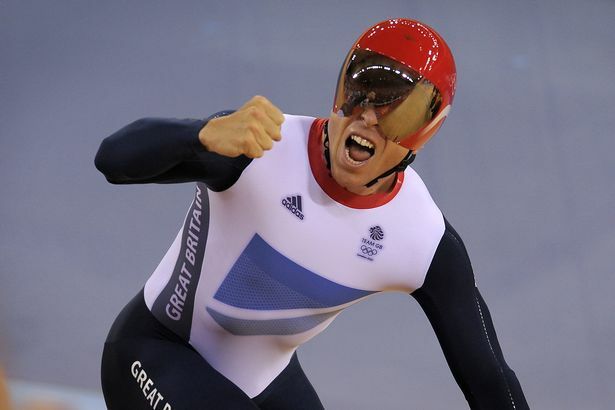 Fifteen years on from his horror career-ending crash which left him having both of his legs amputated, he returned to the forefront of the sporting world in phenomenal fashion by becoming a double-gold medal winning hand-cyclist. The man is an inspiration but in fairness that is true of every single Paralympian I have witnessed over the past couple of weeks, but sadly it is now all over! 54 year old Nick Skelton may have narrowly missed out on a gold medal in the individual showjumping competition but in playing a huge part in Team GB’s gold medal winning success in the team competition he proved that he is still a spring chicken at heart. 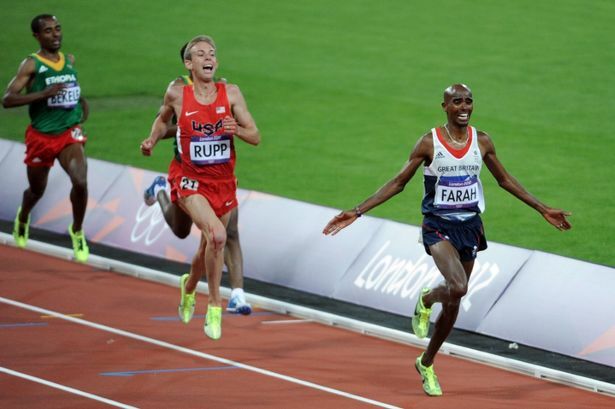 Mo Farah’s double gold medal winning performance at London 2012 was a treat to behold and for me at least his 10,000m race was the most exciting moment of the Games. It put the icing on the cake of an incredible Saturday night in the Olympic Stadium as it was Team GB’s third gold medal in the space of an hour and it was the ‘mo’ment which ensured that that night would forever go down as one of the very finest in British sporting history. As the Olympic Games have been such an overwhelming success in London and as Team GB have for the most part been terrific it is easy to forget that there have been some major disappointments along the way. The greatest of the disappointments was arguably been Phillips Idowu both in terms of his behaviour in the lead up the Games and then his performance in the Games itself. His ‘invisible man’ act beforehand and his poor performance in the preliminary rounds of the triple jump contest at which he was eliminated will have won him few admirers and one would hope he can find a better performance soon otherwise this will have been a horrible way for one so talented to leave his sport. There was so much reason for celebration within Team GB during Olympic fortnight that it all seems to blend into one but one of the stand-out celebrations of the Games was undoubtedly that of Tom Daley and his diving team mates. 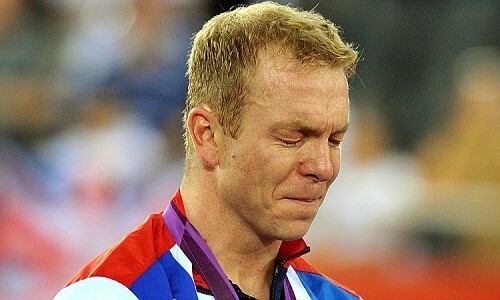 Imagine if he’d won gold…! It is hard to see Laura Trott not ending her cycling career amongst the most decorated British Olympians of all time as she has already bagged two golds at the age of 20. If she continues at her current rate then she could well be a ten-time gold medal winner if she carries on until she is Sir Chris Hoy’s current age! 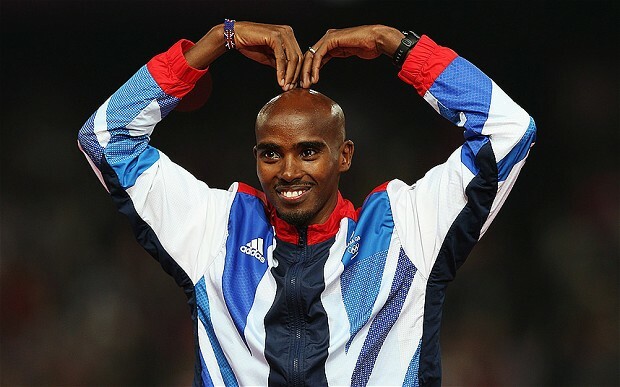 There have been almost too many success stories to mention for Team GB and for London over the past few weeks but the stand-out performer of the Games has to be our favourite Somalian born distance runner, Mo Farah. Farah’s nerve, concentration, strategic nouse and physical strength have peaked at the perfect time and in becoming only the eighth person ever to do the 5,000m and 10,000m double he has written his name into the history books as one of the greatest ever Olympic athletes. So, huge congratulations are in order to the likes of Jess, Jason, Sir Chris and Laura as well as the rest of Team GB’s medal winners and emerging talents but perhaps even greater congratulations are due to Mo. He might not have the looks of our “Face of the Games” Jess Ennis but who can resist a scrawny-looking, bald, bearded man win a penchant for slapping his own slap-head and for performing the now infamous ‘Mo-bot’… Sir Mo, we salute you! Just a couple of weeks prior to the Games SW19 played host to Andy Murray’s proudest career achievement to date when he reached his first Wimbledon final and lost valiantly to Roger Federer, but now he can finally say that he has become a champion at Wimbledon. He still isn’t yet a winner of Wimbledon title ‘proper’ or a Grandslam title but his fantastic performances en route to the Olympic final and then in hammering Federer in the final will have given him an enormous amount of hope in his quest to land a first Slam. It was also fantastic to see him gunning for glory on all fronts as he teamed up with his brother in the men’s doubles and with Laura Robson in the mixed doubles where they landed a deserved silver medal. Little can be said about Saturday the 4th of August 2012 that hasn’t already been said a thousand times but there is no way it could be left off of this list. 6 golds in one day and three of those in the space of less than an hour in the Olympic Stadium. It was awesome. With some of team GB’s more high-profile members such as Jess Ennis, Mo Farah and Sir Chris Hoy delivering in fantastic fashion I felt as if young Laura Trott’s double gold went unfairly a little under the radar as did her boyfriend Jason Kenny’s double gold. Her individual winning performance in the women’s omnium was terrific and she sealed her precious second gold in stunning style by romping to victory in the final event and replacing the experienced American Sara Hammer at the top of the standings. Ainslie yet again did it the hard way as he always seems to do as he once again he came from behind to land a stunning fourth consecutive Olympic gold medal and a third consecutive gold in the Finn class. The man is a legend and one would imagine that a knighthood could well be forthcoming. Chris Hoy’s outstanding performance in the Keirin was arguably the highlight of yet another stunning team performance from Britain’s cyclists at the Olympics and it saw him reach the incredible tally of six golds, one more than Sir Steve Redgrave who provided a very nice touch by going to the Velodrome to congratulate the man who has arguably deposed him as Team GB’s greatest ever Olympian. I’m pretty certain that most people would already have regarded Usain Bolt as a legend prior to London but now he himself believes once and for all that he has the right to be called a legend. Once again Jamaica’s finest produced storming performances in the 100m, 200m and 4x100m relay and his second consecutive triple-gold medal haul silenced all of the doubters who thought he might not be able to match his displays in Beijing. 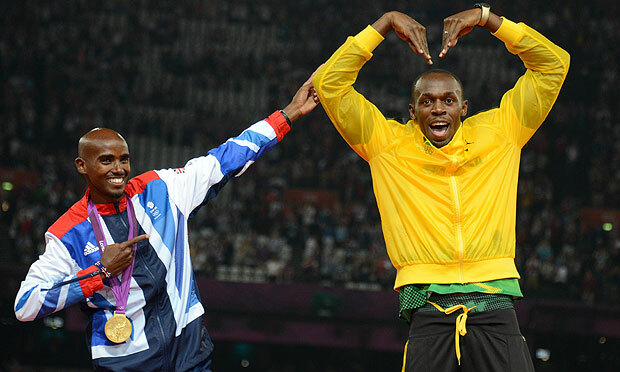 My favourite Bolt moment from the last fortnight though was his homage to home favourite Mo Farah when he performed the ‘Mo-bot’ just after crossing the line for gold in the relay. For years I have been derogatory about triathlon in order to wind up a friend of mine who is all to keen on the sport but the truth of the matter is that triathlon is an unbelievably demanding discipline and both of the Brownlee brothers are phenomenal athletes. Tuesday’s triathlon drew an enormous crowd, one which included myself, and Alistair Brownlee’s gold medal winning performance was well worthy of such phenomenal support. Saturday night saw Mo Farah complete arguably the greatest British athletics achievement ever as he landed the 5,000m gold medal to add to the 10,000m gold which he won a week earlier. This achievement has seen Farah soar into the realms of the greatest athletes ever to have competed at the Olympics as only seven people have ever done the long distance double at the Games. Uganda are traditionally one of the least successful competing nations at the Olympic Games and until yesterday they were still without a medal at London 2012. 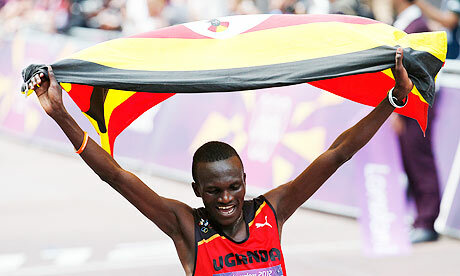 However, on the final day of the Games Kiprotich stepped up to the plate and beat the favourites from Africa’s distance running strongholds Ethiopia and Kenya en route to winning the marathon and becoming not just Uganda’s first medal winner of the Games but also Uganda’s first gold medal winner in 40 years. This was a staggering achievement for one so young and it was deserving of the traditionally special medal ceremony that the marathon receives in the closing ceremony. In short, I think that all the usual suspects will advance to the final as well as young talents Ryan Bailey and perhaps even Adam Gemili. If events on the track so far are anything to go by then I have a feeling that the home crowd could inspire either one of Gemili or Dwain Chambers to make the final as one of the fastest losers from the semis. I think Yohan Blake, Justin Gatlin and Usain Bolt will set the tone for medal-winning finishes in the final with victories in each of their semi-finals and I think that each of their times will crank up into the region of 9.80-8.85 seconds as they start to move through the gears of the competition. 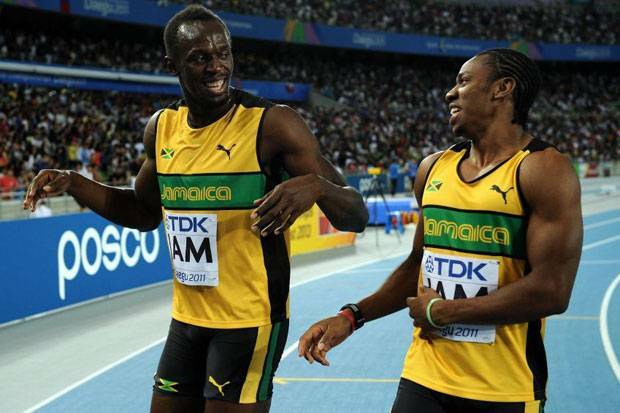 Will Bolt hold onto his 100m crown or will the young pretender Yohan Blake pip him to the post? You heard it hear first: Usain Bolt will ‘only’ win a silver medal! You can never rule out Bolt, I know that of course, and I am not ruling him out. I think the pace of the final will be very decent and I think it will be either Blake or Bolt that win it in around 9.65 seconds but for the sake of interest and in aid of backing up what I have been saying to anyone who will listen for months I have gone for Blake to win. I then think their will be a real dog-fight for the Bronze medal in a time of 9.75-9.80 seconds with Justing Gatlin pipping Asafa Powell, Tyson Gay and Ryan Bailey in the battle for a third-placed finish. Whether Bolt wins tonight or not, tonight is sure to be another historic night for both British and World athletics so sit back, relax (if you can…) and enjoy another sporting feast. Is it just me that has Spandau Ballet ringing through my head? What a night it has been for British athletics and what a day it has been for British sport. 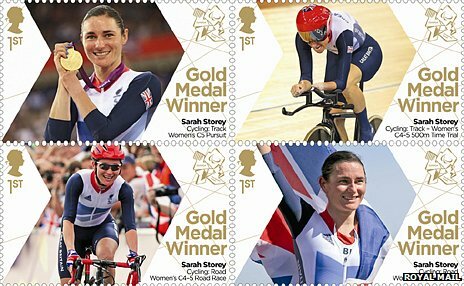 Two golds on the track, one in the field and three earlier in the day shared between the river at Eton and the Velodrome at the Olympic Park. Has British sport ever seen anything like it? I can’t quite believe we won 6 of these in a day! Well, I certainly can’t remember a night like it and I’m pretty sure that I will never see a more superior day of British sporting excellence for the rest of my existence, nor would I really hope to as I don’t think I could bear it! Well, first of all, huge congratulations to Jess Ennis, Greg Rutherford, Mo Farah, Laura Trott, Joanna Roswell, Dani King, Sophie Hosking, Katherine Copeland, Pete Reed, Andy Triggs Hodge, Tom James and Alex Gregory. You are all brilliant and we as mere spectators of your brilliance are all indebted to you for eternity for the magnificent day of entertainment with with you have provided us! 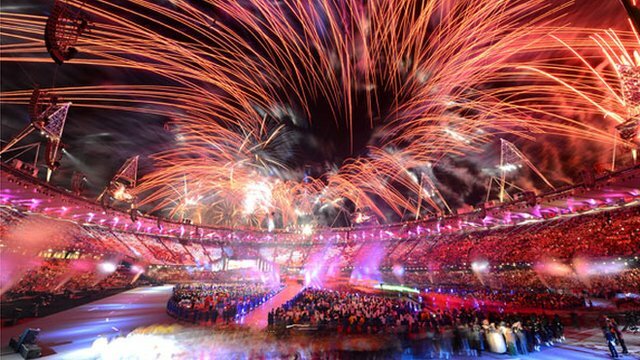 Now, breaking it down, here is the run through of my experience of Team GB’s ‘Golden Saturday’ at the Games…. 11:30 A.M: GB WIN GOLD IN THE MEN’S FOUR! 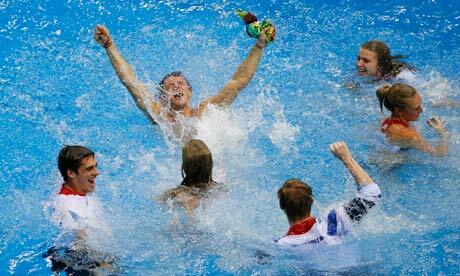 GOLD MEDAL NUMBER ONE ON ‘GOLDEN SATURDAY’ FOR TEAM GB!!! 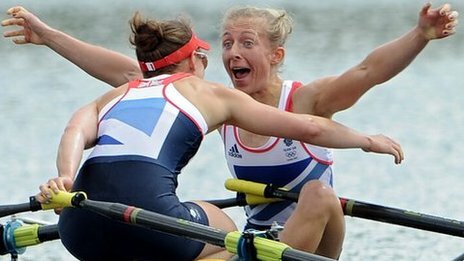 12:00 P.M: GB WIN ANOTHER GOLD AT ETON! 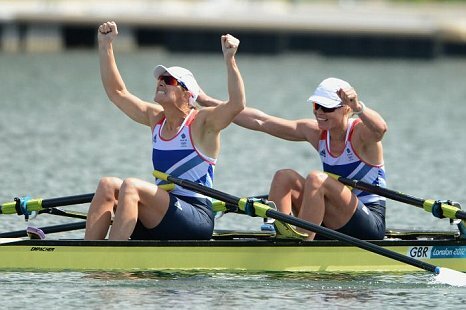 KATH COPELAND AND SOPHIE HOSKINGS TRIUMPH IN THE LIGHTWEIGHT WOMEN’S DOUBLE TAKING TEAM GB’s GOLD MEDAL TALLY TO TWO ON ‘GOLDEN SATURDAY’!!! 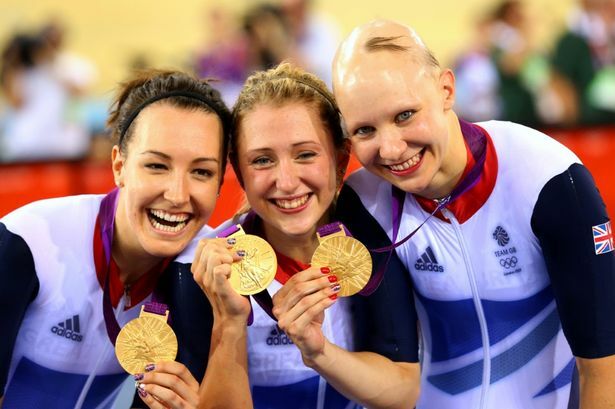 6:15 P.M: GOLD FOR GB IN THE WOMEN’S TEAM PURSUIT AT THE VELODROME! 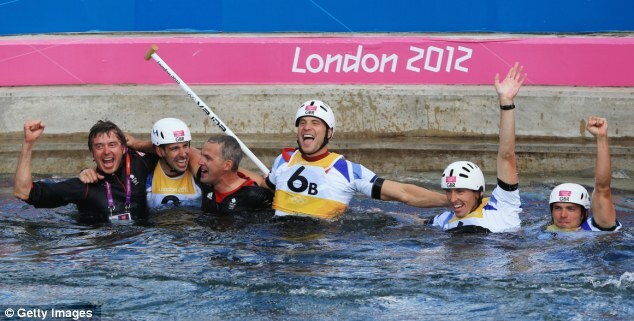 TEAM GB’S THIRD MEDAL OF GOLDEN SATURDAY! TAKE A BOW LAURA TROTT, DANI KING AND JOANNA ROSWELL!!! 8:40 P.M: Michael Phelps won gold as part of the USA’s relay team in the 4x100m medley final in what was his last ever competitive race but I didn’t care because GB were on course to win 3 golds in a night! OK, I did care really… What a man. What an Olympian. 22 Olympic medals and 18 of them Gold. Is he the greatest sportsman of all time? 9:00 P.M: Jess only went and bloody well won her 800 didn’t she! It would have been so easy for her to just pace her way to a comfortable finish high up the field but the determination she showed to win her race was phenomenal. 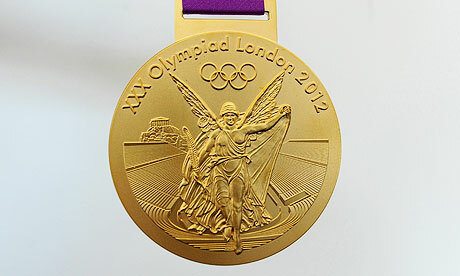 GOLD MEDAL NUMBER FOUR FOR TEAM GB ON GOLDEN SATURDAY!!! 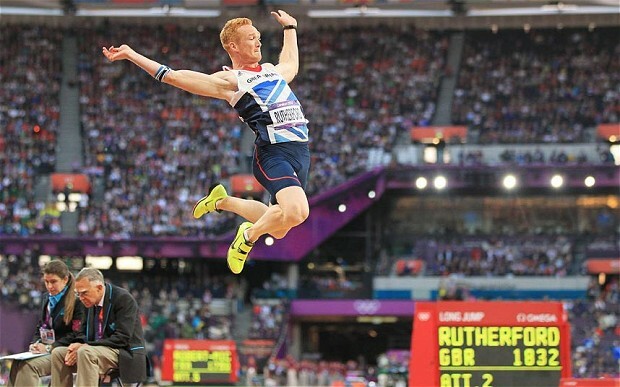 9:25 P.M: Greg Rutherford stuffed up his ‘jump of honour’ but who gives a toss?! 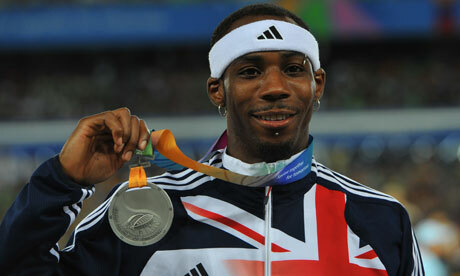 GOLD FOR TEAM GB IN THE LONG JUMP, 2 ATHLETICS GOLDS AND FIVE TEAM GB GOLDS ON GOLDEN SATURDAY!!!! 9:45 P.M: MOOOOOOOOOOOOOOOOOOOOOOOOOOOOO!!!!! FARAH WINS GOLD IN THE 10,000 m AND TEAM GB GET THEIR SIXTH GOLD MEDAL OF GOLDEN SATURDAY!!!!!!! …and Mo makes it six! 10:15 P.M: Team GB’s male footballers crashed out to South Korea in the quarter finals in a penalty shootout. Usually I would have cared but not tonight. Very little could have happened to dampen my mood and I’m sure that was the case for the vast majority of British sports fans! However, Friday morning’s terrific performance alongside the magnificent Anna Watkins saw her finally achieve the gold she so deserved and how she managed to hold herself together so well I’ll never know. Well done Kath, you are the bride after all! Amidst the drama and disappointment of Jess Varnish and Victoria Pendleton’s disqualification on the first evening of Velodrome action, Sir Chris Hoy and his trusty team sprint team mates Jason Kenny and Phillip Hindes triumphed in their final breaking the World Record along the way. This success was Chris Hoy’s fifth Olympic gold medal and the scenes it prompted inside the Velodrome were about as euphoric as the games has served up so far. However, the greatest Olympian of all time has had something to say about that and he has out-‘golded’ him so far this games and in doing so has kindly reminded Lochte (who for the record I cannot stand…) that for this week at least he still has some serious competition. Going into the finals of the C2 hopes were hight that one of the two British pairings might manage to get in the mix for a medal winning finish but a GB 1-2 was never really though to be on the radar. It was a staggering performance from both pairs and the two medals captured for Team GB contributed to a mad five minutes in which Peter Wilson also showed phenomenal nerve to grab a shooting gold to make it three medals in five minutes for us Brits. Having gone into the team event in the gymnastics with hopes higher than ever before and aiming for a top five finish, our men’s squad excelled beyond belief and ended up getting themselves an awe-inspiring Bronze medal. The Olympic Games are all about triumph in the face of adversity and performing to the very limit of your abilities and this success was the very epitome of such sentiment. I never though it would have been the case but their battle for a medal was probably my highlight of the first week of Olympic action and they came agonisingly close to bettering their final position with only a judge’s review denying them the silver medal. 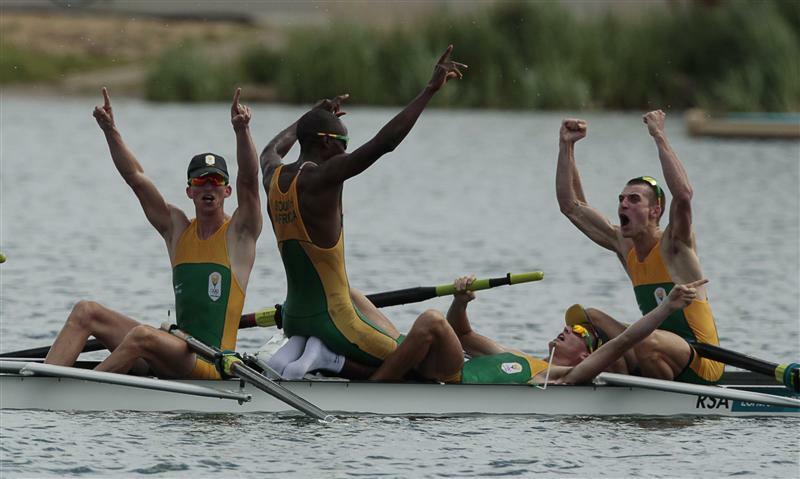 Before this historic race South Africa had never before won a rowing gold but their staggering late burst in the lightweight fours earned them an awesome victory at the expense of the GB crew who were narrowly squeezed out into the silver medal position in the final few metres. The South Africans were never meant to win this race but they did and they more than deserved to on the day even though it was heartbreaking to see our boys lose out so narrowly in a race they were very confident of winning beforehand. 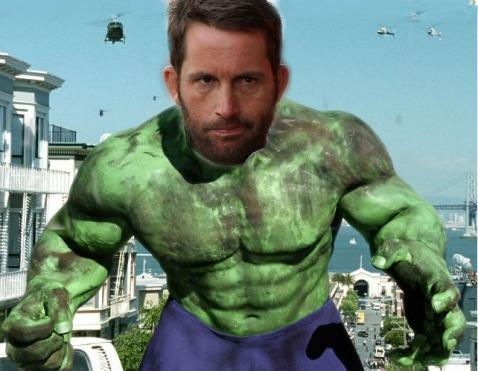 Having fought manfully for Mark Cavendish’s failed crack at winning gold in the men’s road race, Bradley Wiggins had to lift himself for Wednesday’s time trial and he did just that. His staggering victory by over forty seconds saw him win his fourth Olympic gold and his seventh Olympic medal in total and these achievements coupled with his historic triumph in the the Tour De France have put him right up there in contention to be thought of as Britain’s greatest ever sportsman. Arise Sir Brad…. At the time of writing this piece Jess Ennis has now built on her brilliant start to the heptathlon and has just one event remaining in her quest for an Olympic gold and looks set to close the deal with a fair amount of ease in tonight’s 800m. But in terms of the first week of the games she had only completed four of her seven events and the first of these, the 100m hurdles, saw her start her campaign in phenomenal fashion allaying any fears about her being overcome by the huge pressure of being the ‘face of the games’. Her time of 12.54 seconds would have seen her in a photo finish for Olympic gold in the women’s 100m hurdles as an individual discipline in Beijing in 2008 and it was also the fastest hurdles time ever run by a British woman. This was an incredible start to her Games and it set the tone beautifully for the rest of her competition. Following Danny Boyle’s brilliantly bonkers Opening Ceremony on Friday night, hopes were high across Britain that one of our glory boys of recent times would cash-in on the wave of euphoria and kick-start our Olympic campaign with a gold medal. Sadly though, Saturday’s Men’s Cycling Road Race failed to deliver the result we were all hoping for when our great hope Mark Cavendish failed to ever seriously threaten a podium finish. However, from the ashes of Cav’s failed attempt to get Team GB off the mark rose Lizzie Armitstead’s quite magnificent ride to a silver medal finish in the Women’s Road Race and this first medal of the Games was arguably made all the sweeter by the disappointment that Cavendish, his team mates and the entire sporting fan-base of Great Britain had suffered on the opening day. I was one of many who was fortunate enough to see first hand the efforts both of the men and of the women in the road races and having never been a real fan of cycling before recent British successes (call me a glory supporter if you will…) I must admit that I am well on the path to conversion. Don’t get me wrong, you are unlikely to find me gripped to my television screen watching road cycling events all year round but the monumental achievements of the likes of Mark Cavendish, Bradley Wiggins, Chris Froome and Lizzie Armitstead on the road over the past couple of years have certainly gone a long way towards inspiring a passion within me for the sport as a whole. In order to break the back of learning both to watch and to enjoy road cycling I have found it helpful to compare it to test cricket which is a sporting discipline I have always had an enormous affection for. Sure, some stages of test cricket can be an absolute bore as can some stages of the Tour De France but the beauty of both comes in the moments of sheer excitement that emerge from these lengthy spells of monotony and tedium. Just as Cavendish’s disappointment made Armitstead’s success so thrilling, the dull and at times dismal periods of test cricket and road cycling make the great spells of play all the more memorable. I can accept that road cycling will never be on a par with something like the 100m sprint at the Olympics in terms of sheer and complete excitement but where it does excel is in it’s ability to drag viewers through the seemingly more boring moments with captivating tactical battles which can only be fully appreciated as a result of an increased understanding. Until recently I have never tried to properly understand the real gritty and at times enthralling tactical side to top-level cycling and though I am a million miles away from being an expert on the subject now, my knowledge has certainly improved and I can say with undoubted integrity that I am much more appreciative of the skill of road cycling for having spent some time taking an active interest in it. It is also immensely helpful to me as a spectator of road cycling that I have now had the opportunity to see before my very eyes the world’s finest road cyclists’s taking on roads and landscapes with which I am well acquainted. Even if the route had taken in merely 250 km of straightforwards roads in my local area I would have gained a greater appreciation for their talents for having a more enhanced knowledge of the route, but for the male competitors in particular to have had to conquered Box Hill nine times in a row in the middle of their race is truly phenomenal and it has earned all my respect. I myself am sporty and would consider myself to be reasonably fit but I would happily wager that I couldn’t manage one round of Box Hill in isolation without doing myself a serious mischief along the way. So, for them to have completed nine straight circuits of the area as just the focal point of their gruelling ride is totally astounding as it is a tricky enough ascent when walking on foot let alone when trying to force an unwilling bike up there. As for the women’s race, they may only have had to conquer Box Hill twice in a shortened version of the men’s route but I have a very sizeable amount of respect for their efforts too in what was still an enormously demanding race which was also played out in some of Britain’s very filthiest summertime weather, unlike the men’s race which was awash with sunshine. As I mentioned I was road side to see Armitstead and co whizz down Hampton Court Way on their route back towards The Mall and as I stood observing the latter stages of the race the conditions ranged from bellowing thunder, to huge bolts of lightning and then most joyously of all to a storm of hailstones. That spell of vile weather was enough to make me feel terribly sorry for myself for just having to stand there getting soaked and stung by the hail let alone cycle into it at 50 kph for hours on end. 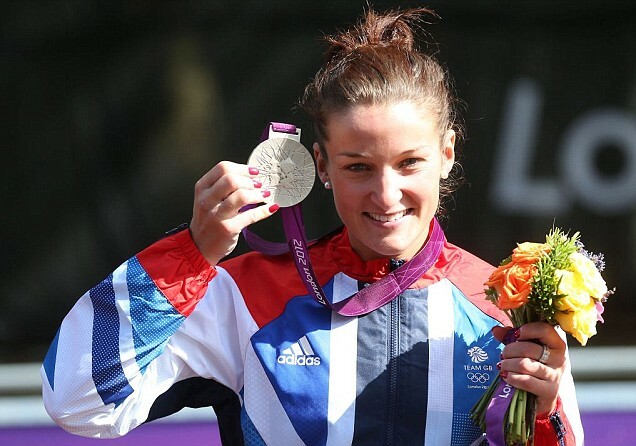 Therefore I have nothing but the highest of praise and admiration for Lizzie Armitstead as she rustled up a whole lifetime’s worth of my capacity for bravery and resolve in just one day of phenomenal effort on the roads of London and Surrey. Though Team GB’s plans may have gone a little awry in the men’s race, the women’s plans were implemented and executed superbly off the back of the knowledge provided by the previous day’s efforts and Lizzie Armitstead demonstrated tremendous skill, power and determination to force home a splendid finish and to grab a hold of Team GB’s first medal of our third Olympic Games. Armitstead’s awesome show on the roads will undoubtedly see her go down in pub quiz folklore for the rest of her existence and beyond and the honour of becoming Team GB’s first medalist of our home games must surely be beyond her comprehension. With time running out until the start of the biggest and best celebration of world sport that Great Britain has arguably ever had the honour of hosting, the pre-Games excitement is reaching fever-pitch as the athletes flock to the Olympic Village and to the various other parts of the country where they’re required to be for their parts in proceedings. There will undoubtedly be a wealth of huge stories to emerge over the next few weeks both in London and across other parts of the British Isles but with just 10 days to go until the official start of the Games I have picked out 10 big stories that could be set to unfold within Team GB. He may not be tipped to be in the dog-fight for medals in his first ever Games but many are tipping Gemili to break the 10 second barrier at the Olympics and if he does so it would make for a phenomenal story. 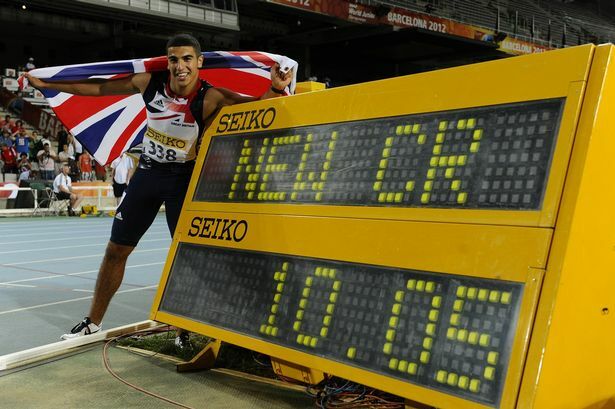 It is enough already that the 18 year old has made the Team GB squad having barely taken the sport seriously up until the past twelve months or so, but if Gemili can plot a way through the heats then a time of less than 10 seconds may well be on the cards and that would represent yet another phenomenal achievement for the youngster. Gemili has also made himself practically un-ignorable in terms of selection for the 4x100m relay squad with his recent form and perhaps he could make the difference and help push the team towards medal contention. 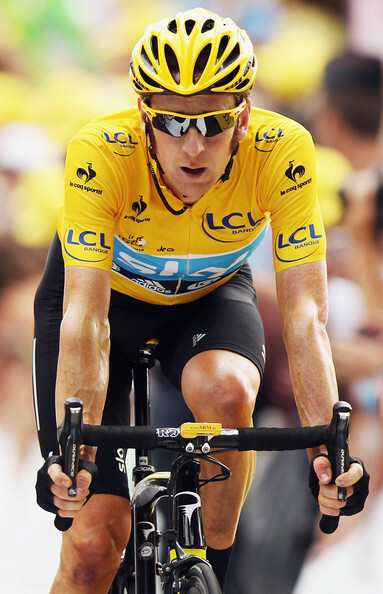 ‘Wiggo’ is well on course to win Le Tour, could another gold medal follow? With Wiggins currently breaking records in the Tour De France and with him looking set to become Britain’s first ever winner of cycling’s showpiece event, this could prove to be yet another huge summer for British cycling and that is before we even reach the Olympic Games where we will once again be expected to blow away much of the competition in several different disciplines. 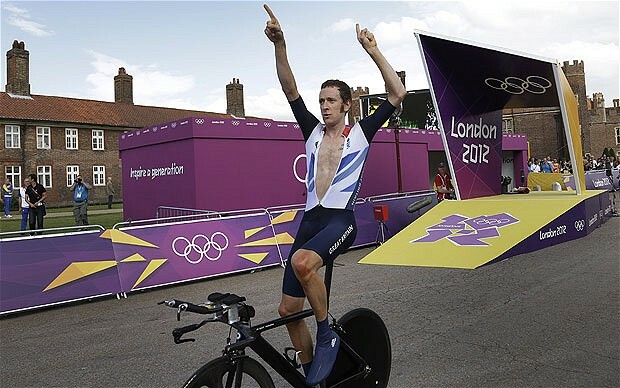 If Wiggins were to win Le Tour and then come back to London and win another Olympic gold medal it would be hard for anybody to rival him in terms of British sporting hero status this year. This is not a sport which Team GB are particularly well acquainted with given that we have never entered a Women’s team and that we haven’t entered a Men’s side in a very long time but if either of our sides make it out of the group stages at the Games then they will fancy their chances of getting themselves into serious medal-winning contention. The only tickets I have for the Games are for the Men’s final of the football at Wembley Stadium so lets hope for my benefit at least that Team GB can do the business! 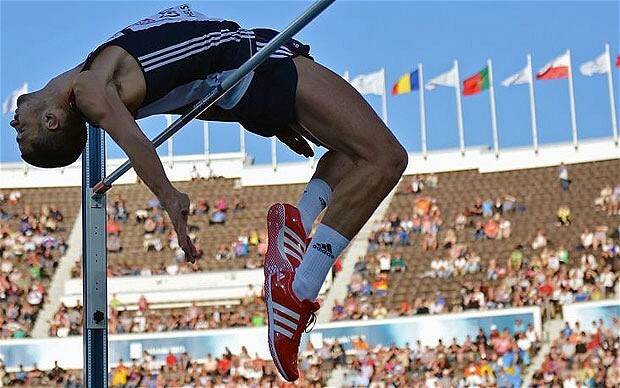 Since the days of Jonathan Edwards dominating the triple jump and Steve Backley simultaneously competing with the likes of Jan Zelezny in the javelin, Team GB have struggled to produce much in terms of major male competition for medals in field events but with Robbie Grabarz tipped for a medal at this summer’s Games things could well be about to change. 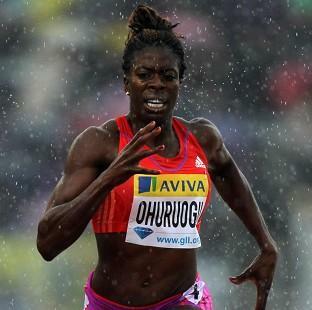 Reigning Women’s 400m Olympic champion Ohuruogu hasn’t exactly enjoyed the best years of her career since Beijing in 2008 but recent signs suggest that she could well be timing her charge for further Olympic glory rather well. She may well be a little way off the world’s leading times for this year but her performance in the 400 at the London Grand Prix over the past weekend suggests that she could well still have a hope of getting herself into contention for the medals in spite of the injury and confidence problems she has suffered since her lasting outing at the Games. The strength she demonstrated to power through the field over the last 5o metres of Saturday’s race at Crystal Palace had all the hallmarks of a classic Ohuruogu triumph and if the weather is as bad as it was the other day when the Women’s 400m final takes place at the Olympic Stadium in a couple of weeks time then she would have to be considered a serious threat. 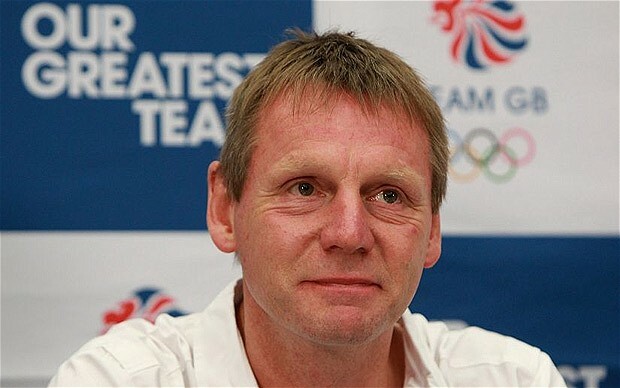 Arguably the most controversial of all the decisions made by the panel of selectors for Team GB was the omission of World Number One Aaron Cook for the Men’s Taekwondo squad. 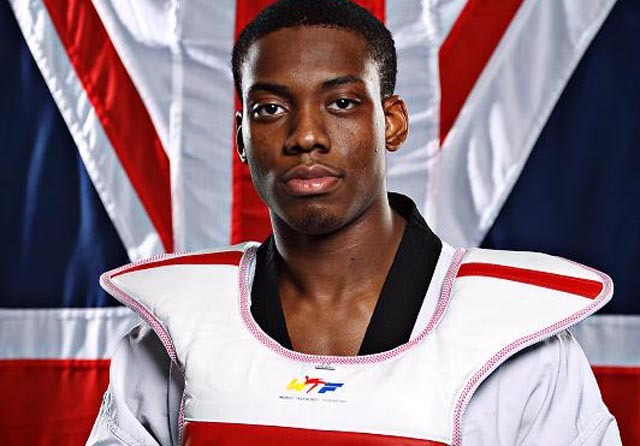 Instead, the selectors have opted for Lutalo Muhammad who is ranked just 59 in the world but many who know far more about the ins and outs of Taekwondo than myself are tipping him to make a big impression this summer. He may not be as strong as Cook on paper but those in the know think he could well be a major medal contender and who am I to disagree? We will no doubt never hear the end of it if Muhammad doesn’t win a gold medal, so lets just hope he does even if just for the sake of the selectors! Idowu is undoubtedly one of Team GB’s most decorated track and field stars of recent times but four years ago in Beijing he was on the end of a shock result when he managed just a silver medal in the Men’s Triple Jump when many expected him to land gold and now he could well be cruelly denied the chance to avenge this missed opportunity because of injury. With such little time remaining before the Games get under way and with such little time to go until Phillips will be called into action, he is probably the most high profile injury concern of the entire Team GB squad. He is though still set to try and compete and perhaps the dampened expectations of him due to his current injury struggles will help him go under the radar and land the gold medal he so craves. The evening session of August the 4th is set to be arguably the biggest night of the Games for Team GB as it plays host to poster-girl Jess Ennis’ efforts to try and win the Women’s Heptathlon and also to one of our greatest gold medal hopes in men’s athletics when Mo Farah is set to compete in the Men’s 10,000m final. This evening session of athletics will undoubtedly be one the most sought after tickets for all Team GB fans and the prospect of us landing two track golds in the space of an hour is truly mouth-watering. 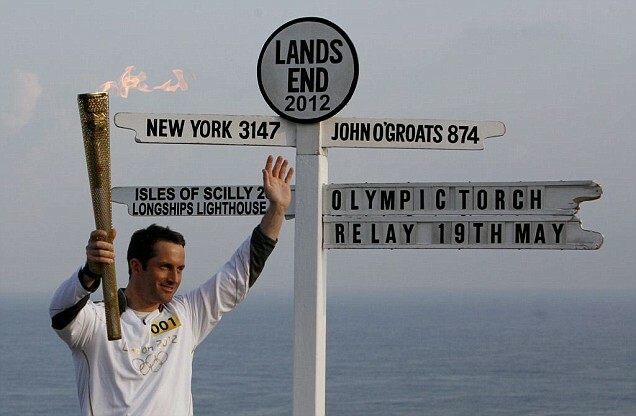 He is already considered one of of Great Britain’s all-time greatest Olympians for having won gold medals at each of the last three Olympic Games as well as a silver medal in Atlanta in 1996 but if Ainslie were to win yet another gold this summer then he may well jump even higher up the list. Surely only the likes of Sir Steve Redgrave still stand between him and the title of being our greatest ever Olympian and it would be interesting to see whether he will get the praise he deserves if he triumphs yet again, as he is often the forgotten man in such debates. Having endeared himself to much of the British public who still had their reservations about him with his run to the Wimbledon final this summer, Andy Murray now has a great chance to go one step closer to becoming a fully-certified national hero in the Men’s Singles competition at the Olympics. Even if he doesn’t fare well in the Singles he has the lifeline of competing alongside his brother Jamie Murray in the Men’s Doubles at the Games and they as a pair would have to be considered serious contenders for a medal.